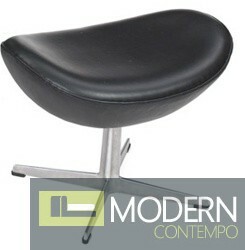 Arne Jacobsen is one of the most well-known furniture designers of the 20th century. 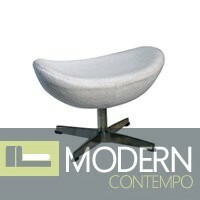 Known best for his Egg Chair, Swan Chair, and Series 7 Chairs, Jacobsen's style helped to define an era. 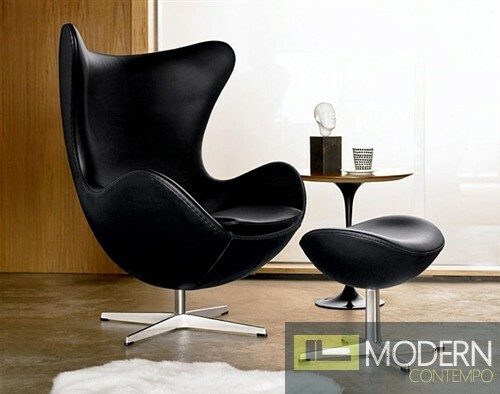 Perhaps his most well-known piece, the Jacobsen Egg Chair has become a hallmark of 20th century design. Our Jacobsen Egg Chair is an inspired reproduction of Jacobsen's original, and offers impeccable accuracy to the original. Jacobsen worked as both an architect and designer. Together with Fritz Hansen he produced the Ant and Series 7 Chairs in 1952, propelling both his and Hansen's names into furniture history. In 1958, Arne Jacobsen introduced the Egg Chair, Swan Chair, and Swan Sofa to the world when he designed the lobby and reception areas of the Royal Hotel in Copenhagen. 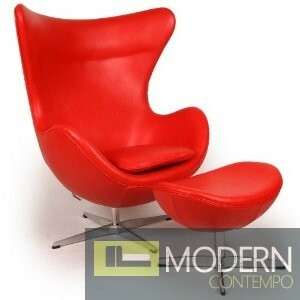 The Jacobsen Egg Chair earned instant notoriety and remains extremely popular today thanks to its unique look and chamber like seating area that blocks exterior noise. Dimensions: 15" x 12"x 16"